On Twitter last week I was asked about my favorite book recommendations. Erin Kreeger from Ontario, Canada was asking for my favs in the graphic facilitation and visual thinking genre. Inspired by her question I’ve decided to expand the genre to my overall ‘Acceleration Reading Picks’ … the Top 10 books that have influenced me in my biz and life SHIFT. We all have pivotal ideas, thoughts and inspirations that have lit us up … think back and consider, what are your Top 10 reads? Here are mine … somewhat in chronological order (and hey, its hard to keep it to 10 so I snuck in a few more!). I start my list with the first hard cover book I ever bought — back when thirty bucks seemed a fortune to pay for a book (I was an admin assistant in a political office in the early 90s). Little did I know then just how pivotal this book and its message of true self empowerment (for women and men) would be for me — the start of a long journey — taking me across countries, schooling and several professions. My favorite book from grad school days – gave me a useful and inspiring counter to the Cartesian/scientific worldview that I was brought up with. Yes, science is useful and fabulous … but there is a whole lot more that we also need to consider if our world is to be a humane place in which to live for us and for generations to come. Bill Bridges gave me the ‘what’ (how to prosper in a world without jobs). David Sibbet gave me the ‘how’ (by becoming a visual practitioner … first within his company, The Grove Consultants International, then later from my own company). After completing my thesis (using David Sibbet’s Strategic Visioning Process as my action research project with a trio of Canadian entrepreneurs) … this book got me through the post-graduation fear of ‘now what’ to my globe trotting life as a traveling Graphic Recorder. 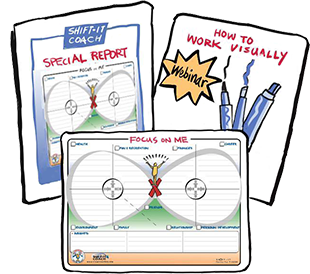 Today I am a successful coach with a pioneering niche: graphic coaching. As a teacher of teachers … I attract new and experienced coaches. For the newbies this is my number one recommendation for exploring the coaching field to see whether it might be a fit. 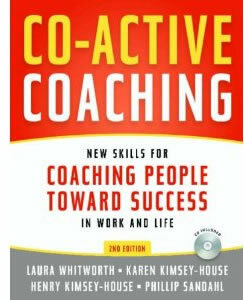 The authors are the founders of The Coaches Training Institute – which I attended in 2000. I am a huge, huge fan of the universal intelligence that Esther Hicks ‘translates’ for, whom she has affectionately refers to as “Abraham”. Known as “Law of Attraction”, “Deliberate Creation” and “The Art of Allowing” this work has had a profound impact on me and my life — accelerating me to new levels of expression, creation and manifestation. I am so thankful for their role in my life and in the lives of those I have the pleasure of coaching and mentoring. An inspiring business classic. How to shift from your business running you to you running your business. The shift from being a ‘technician’ to a true business owner/leader. Currently in the process of manifesting this one as I continue to build my team and proper systems at SHIFT-IT Coach, Inc.). 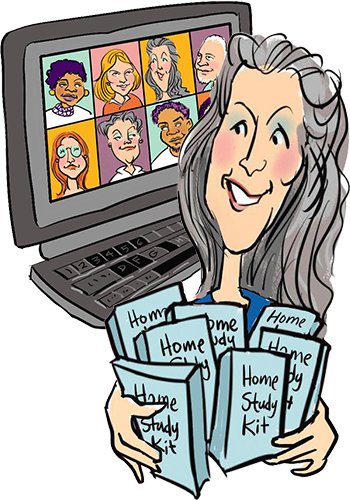 Business is a wonderful opportunity to ‘see your stuff’ and hopefully do something about it. I adore THEO’s personal guidance (have had many private sessions with them) and use their “Soul Integration Process” when I’m triggered and coming from a knee-jerk, reactive place. Puts my Inner Businesswoman and Capable Adult back in charge. Home Retreat Kit. I’ve been obsessed with the business of SHIFTing work and life (my own and my clients) for well over 20 years now. 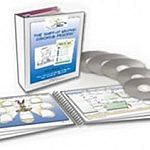 This do-it-from-the-comfort-of-your-own-home Kit guides you step-by-step through my SHIFT-IT System® … using my custom graphic coaching maps. Draw out who you have been, who you are … and what you next want. Successfully align and take action to Become Your Next Self.